BeB Angelinì is a large house that was built by my great-grandparents in 1911, recently renovated, keeping intact the typical Tuscan style. The ceilings have rafters and the floors are in terracotta and grits. . 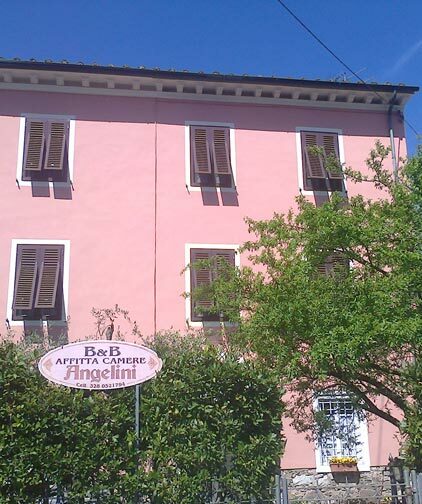 It is a Bed and Breakfast with 5 bedrooms both double, triple and quadruple large and bright each with private bathroom, located 600 meters from the walls and the historic center of Lucca. In fact, guests leave the car in our free parking and go downtown on foot in a few minutes. Those coming by train arrive at home in just a few minutes on foot. Also from Lucca you can reach destinations such as Florence, Pisa, Viareggio, Cinque Terre, La Garfagnana as we are in a strategic position. We have a breakfast room where in the morning we are waiting for a sweet and tasty awakening. The breakfasts are homemade from bread to desserts that we prepare with old family recipes. In the summer, breakfast can also be taken outside in the garden. We are waiting for you in Lucca!